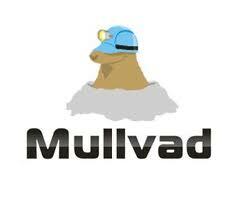 Mullvad is a Sweden based VPN company running its services on a small scale. The first impression from this VPN provider came from the fact that it is serving against the internet censorship, enforcement directives and eavesdropping of the European Government. With a high level encryption and the availability of Bitcoin payment, this service ensures a high level security and privacy of its users. This VPN service is offered at a one-in-all plan at the cost of 5 euros for a monthly subscription. At this cost, the security of OpenVPN protocol is offered and is replaced by the PPTP protocol for devices not supporting the OpenVPN connection. The VPN provider offers its services with servers in Germany, Sweden, US and The Netherlands. It also offers a free trial for 3 hours, about which the company reveals in its registration steps. Every VPN service is judged on the basis of the security measures, which it utilizes for its users, where Mullvad VPN service is ranked very well. It offers a high level of security to its users with 128-bit Blowfish and 2048 bit RSA encryptions with its OpenVPN connection. Other features include the prevention of DNS from leakage, internet kill switch and other measures that ensure a high level of security. On privacy terms, Mullvad VPN service encourages its users to use the Bitcoin payment method with an anonymous email address to maintain their privacy. Also, it maintains no log for user data to offer a high level of privacy to its users. The registration process for this VPN service is as easy task that a non technical user can follow effortlessly. After the registration for this service, you are provided with a link to download and install the client. The interface of the client is very user friendly, which can be used for modifying different settings of the VPN service. When tested with a 10Mbps UK based connection over their server based in Germany, the results were very impressive. The internet connection worked successfully with a negligible drop in both download and upload speeds of the original connection. 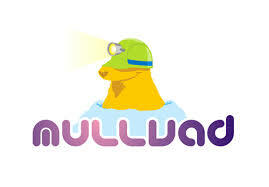 Mullvad VPN service is compatible with Windows, Mac, Linux, Android and is based devices, where desktop users are offered to a client to connect to their services, while mobile users are provided with detailed guide. To support customers with the setup of the service and other related queries, this VPN provider provides a simple and easy to understand website for its services. The FAQ section of the site contains a resourceful information about the service and guides are also available to teach you how to manually configure a connection to their VPN service. For a representative based support, there is an option for email based support and the availability of a land based office that adds to their reliability as well. Overall, this VPN service is categorized into preferable services with its highly satisfying security and privacy measures and a low drop in the internet connection speed.